In tune with T.mill is a part of Paradox East.
" Preserving and progressing the culture" . 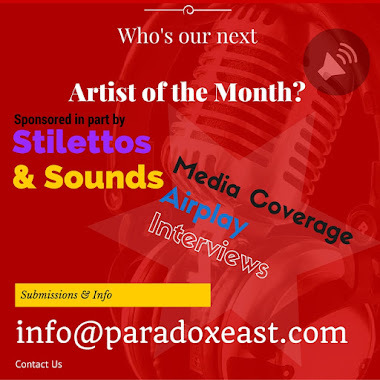 A multimedia organization at the forefront of digital innovation, Paradox East creates and distributes news, info, and music programming. One of our first steps is to move this blog into a fully operational website. This website will be open to the public, yet exclusive access for our listeners. Think of us as the NPR of this generation. Were here forever to preserve and progress the universal culture. Specific Details of upcoming website. Radio Shows - Station coming soon ! Birthday Tribute Packages of your favorite mainstream artists. Packed with multimedia content. Free/Discounted tickets to both indie & mainstream events. The best indie music & videos from across the globe of all genres. Music & Videos from some of today's hottest mainstream artists. Digital Arena (Coming Soon) - Think of your favorite arena's, coliseums, & amphitheaters - Now imagine bringing that experience into your digital world.